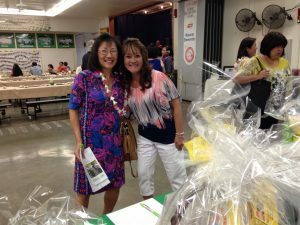 2016 – It was nice to see many return dinner attendees at our 2nd annual fundraising dinner in the Ma’ema’e School cafeteria! This also marked the inaugural year of our Outstanding Alumni Award for Excellence, “Maika’i loa”. Mr. Morris Kimoto (former principal) and Dayna “Sweetie” Pacarro (alumni, former parent) continue to represent the Ma’ema’e Ohana Spirit in their profession and community endeavors, thus proving to be worthy role models for our Ma’ema’e keiki. 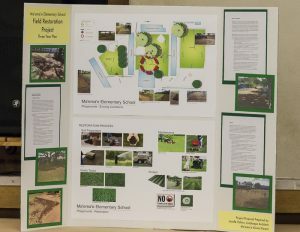 By unanimous board approval, they were the first recipients of the Maika’i loa Award. Sweetie served double duty as dinner co-emcee with Nelson Oyadomari for the second year in a row. Their outstanding crowd appeal has become an M SCF Dinner staple! Through generous alumni and community donations and our ever popular Las Vegas Raffle, pushed our dinner proceeds to more than $17,000! 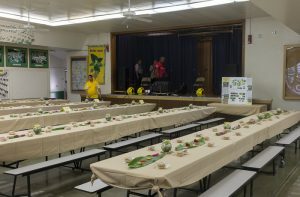 2015 – More than 150 Ma’ema’e alumni and friends enthusiastically gathered to reconnect with old school acquaintances. 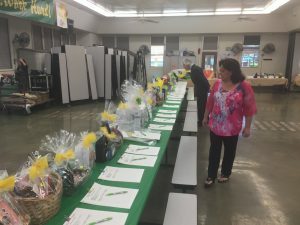 It was a heartwarming show of support by many alumni families: Dinner Chairperson Olga Caldwell (past PTSA president), Catering by Kanak Attack and the Pang Ohana (former parents), silent auction donations from Doug & Babs Young, Ezekiel Lau, student entertainment and our very own school cookie favors by Darrell Tangonan (Ma’ema’e School Cafeteria Manager). 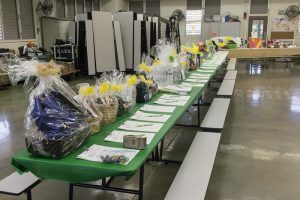 The beautiful silent auction baskets and the popular Las Vegas Raffle pushed our dinner proceeds to more than $14,000! Our alumni co-emcees, Sweetie Pacarro and Nelson Oyadomari, kept the crowd rocking well into the evening!